It’s always wonderful when a good idea turns into something great that has a meaningful impact on people’s lives. 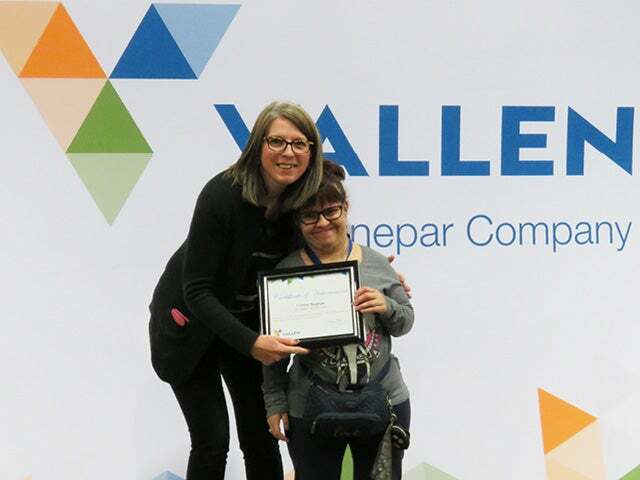 The Empowered Workers Program is just one example of Vallen Canada’s commitment to social responsibility and to the communities we serve. 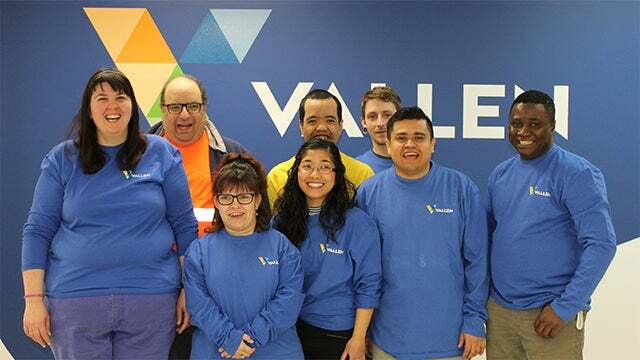 What began simply enough as a one-time Human Resources initiative in 2007 has grown into a talent diversity program that employs a number of associates with disabilities and special needs at the Vallen Eastgate (Edmonton corporate headquarters) location. Back in 2007, we were looking to have some tool engraving work completed for our on-site trailers. The wife of one of our managers worked with Goodwill and suggested that she could provide motivated temporary workers to handle that. The initiative proved immediately successful and, working closely with local social agencies Goodwill Industries and Skills Society, we’ve been fortunate to employ seven associates over the years. Statistics Canada studies have shown that persons with mild to severe disabilities are less likely to be employed and were significantly underrepresented in wholesale trade sector. One of the goals of this program is to raise the profile of the wholesale industry as an inclusive place for all people. From the very outset, these were never seen as token positions. The associates in the Empowered Workers Program do real work every day in environmental recycling, cleaning, product labelling, product assembly, laminating and photocopying, lawn maintenance and more. “I enjoy working hard every day and working independently,” said Jolly Aguilar, who joined us in 2009 and who operates and drives our sweeper and floor washing machines in the warehouse. “I like it here, I like the coaches too,” said Allison Barnes. By matching tasks with the skillsets and interests of the program members, we are able to offer both the financial and emotional benefits of employment. “My favourite job is recycling paper, cardboard and cans,” adds Corrie Lynn Nypiuk. The Empowered Workers Program has become an important part of our workplace culture. Another thing we’ve noticed is how welcoming the workplace has been and how all of our employees strive to create a positive and encouraging atmosphere. Our Empowered Workers have earned their place as valued members of the Vallen family, with most having been with us for over 10 years. So what was originally motivated by a need for engraving work has grown to be part of the fabric of Vallen Canada. What’s next for the program? Ideally, we would like to see the Empowered Workers Program replicated throughout the Sonepar family of companies.